Over 2.8 million properties were slapped with foreclosure filings in 2009 – a staggering 120 percent increase in the past two years. Discover why this bad mortgage crisis increases demand for seller financing and opportunity in the cash flow note business. You can’t pick up a newspaper or watch the news without hearing about the increase in foreclosures. 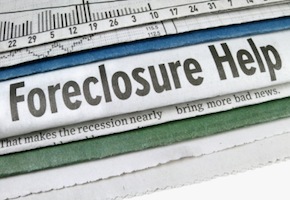 Last year 1 in every 45 homes in the U.S. received a foreclosure filing. Foreclosures are tough all around. They decrease property values, tighten lending requirements, and devastate the lives of displaced families. So what happens when all these homeowners try to put the pieces of their lives back together and purchase another home? Foreclosures stay on a credit report for up to seven years. A foreclosure in this market means a substantial loss to the bank, so they are unlikely to grant a new home mortgage loan anytime soon. When banks say “No” to a bad credit mortgage many buyers turn to owner financing. The seller agrees to “be the bank” and accept payments over time from the buyer. This creative financing solution helps buyers with bad credit purchase a home. It also gives them a chance to rebuild their credit over time so they can once again qualify for traditional bank financing. These are all areas a cash flow consultant can assist sellers in finding help from qualified real estate professionals and note investors. Looking for ways to make money in the cash flow business? Download this free special report and receive important updates. Thanks for reading and commenting at Note Investor!